Golden Triangle Tour of India consists of tour to Country Capital Delhi, Pink city Jaipur and Mount Abu of wonder of the world Agra. If you perceive Rajasthan to be all about arid lands, high velocity winds and dry weather, then coming to Mount Abu will definitely surprise you. A Hill Station in the golden deserts is a rare combination to see. Its pleasant climate, winding roads of the Aravallis beautifully laid out with pine trees, sparkling lakes and waterfalls has been Attracting Visitors since the time of the Rajputs and the Britishers and is still continuing as a favorite summer retreat for the locals as well as the tourists. Mount Abu is considered to have mythological relevance too as the name of the place is believed to be derived from a serpent named Arbuda, who once saved Nandi, Lord Shiva's bull, from falling into a crevice. Its historical link is derived from the fact that the Rajput fire clans namely the Chauhans, Solankis, Pramaras and Pratiharas were said to be created here, from a fire pit of the priests. After breakfast start for halfday sightseeing covering Umaid Bhawan Palace, Mehrangarh Fort and Jaswant Thada. After that transfer to Mt. Abu. On arrival check-in to your hotel. In the evening enjoy the sunset from Sunset View Point in Mt. Abu. Overnight stay at Mount Abu. After breakfast check out from hotel and transfer to Agra Railway Station for your onward journey. 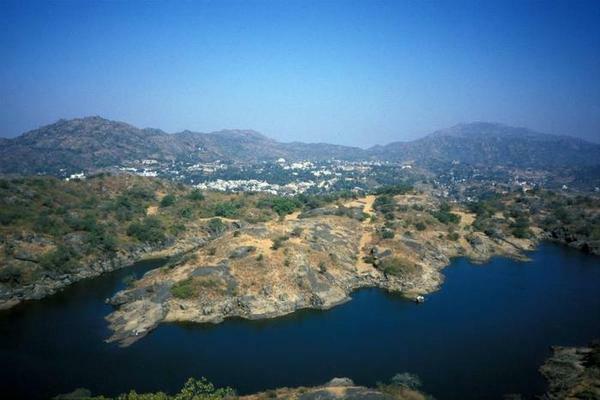 The nearest domestic airport to Mount Abu is located at Udaipur at a distance of 175 km. Abu Road railway station is the nearest railhead to Mount Abu.